Once upon a time there was a great city called Khronathea. It was ruled by King Kron and at its center was the temple of time itself: The Temple Of Khronos. The people of Khronathea proudly called themselves Khronites and went about their daily business of repairing all the clocks and watches of the Great city. One day the King was feeling bored, as Kings do, and so he decided to explore his huge palace. 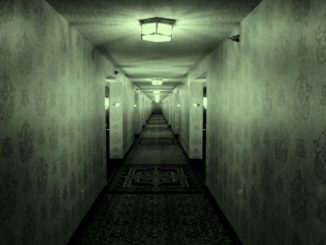 He wandered from room to room until he noticed a small door at the end of a very long corridor. Inside the room was a table and on that table stood a golden lamp. “A golden lamp.”, he was quick witted. As he did so there was a puff of smoke and a bright flash of red light and two evil genies magically floated before him. “I am seven-and-eighty.”, said the first genie. “I am seven-and-ninety-five.”, said the second genie. “Cor-blimey!”, said the King. Or words to such effect. “We are here to take over The Temple Of Khronos and destroy all of the clocks in the city of Khronathea!”, said both genies in unison. “Who’s going to know when to bring me my full English breakfast each morning if these buggers have their way?”, thought the King and realising the precariousness of the situation promptly legged it for help. Now, these two genies wanted The Temple Of Khronos each for themselves and so they agreed that they would go to the temple and fight it out to the death. The winning genie would have full control over all the clocks in the city. Unbeknownst to seven-and-ninety-five, seven-and-eighty had placed a trap at the entrance to the temple. When he passed through the door seven-and-ninety-five disappeared in a puff of smoke. “HA! HA! Now I control the temple and all time!”, said seven-and-eighty. In the meantime the poor King had ran for help and he went to see the Great Wizard Of Khronathea. “You’ve got to help O Great Wizard! These troublesome genies are going to destroy all the clocks in my city! My chefs wont know when to bring me my bacon sandwich!”, said the King anxiously. The wizard went to The Temple Of Khronos taking with him a small box with a button on the top. Inside the temple there was seven-and-eighty waiting for him. “HA! You can’t destroy me, pathetic wizard!”, said the genie. “I come to offer you all the riches of the Kingdom, great genie! Emeralds, rubies and gold!”, said the wizard. “I’m listening…”, said the genie. This was a too tempting an offer for the genie and at the stroke of midnight he pressed the button and promptly disappeared never to be seen again. The clocks of Khronathea would keep the correct time forever more and the King’s bacon was saved. Hurrah! If you recall from part two we were looking for a magic switch. In this part I’ll try to explain how rubidium makes such magic a reality, but first a quick thought about the rubidium metal itself. Basic physics dictates that if you lower the pressure you also lower the boiling point. Rubidium has a very low melting point (at atmospheric pressure) of around forty degrees centigrade. This fact is a key to how these clocks work. In the above photo the lamp (A) contains a small amount of Rb87 at a low pressure (a partial vacuum) and also a small electric heater wire. When the lamp is hot enough (less than one hundred degrees centigrade) the Rb87 turns into a vapour. This gas is then excited by radio-frequency energy causing it to glow. This explains the full name for these clocks as a vapour cell atomic clock. Let’s now look at fig 2 and put it into some sort of relationship with the above photo. On the left side we have the Rb87 lamp (A). This emits two key wavelengths of light. One at 780nm and another at 795nm. Both are in the invisible infra-red part of the spectrum. Obviously the lamp emits lots of other wavelengths hence why we can see it glow pink. The bigger metal box (B) contains three main components. A filter, a resonator and a photo-diode. The filter and resonator work in the same way as the lamp – both contain rubidium at a low pressure with an electric heater wire. Note, though, that the filter contains Rb85. Light from the lamp passes through the filter then the resonator and finally hits the photo-diode. This then regulates the clock. Now for the magic and a rotten drawing! In the above figure on the left I’ve drawn (sort of) two buckets, A and B. Bucket A contains a water pump while B has a small hole in the bottom allowing the water to run back into A. If the hole is just the right size the system will balance. Water will flow from C into B through the hole and back into A. But if we were to make that hole smaller then more water will collect in bucket B than A. We now have an imbalance in the system and it’s this trick that a rubidium clock makes use of. On the right of fig 3 there are three ‘energy level’ diagrams each matching their equivalent components from fig 2. The first represents the Rb87 lamp. There are two electrons – E1 and E2. E1 jumps from 1 to 3 and emits 780nm light. E2 jumps from 2 to 3 and emits 795nm light. Okay, jolly good so far. Ignoring the filter for the moment let’s think about what happens to the light when it passes through the resonator cell. Because of the Rb87 vapour in the resonator the light energy from the lamp will be absorbed and re-emitted as light of the same wavelength. But it wont all be in the same direction. A small amount of scattering or diffusion of the light will take place. This is the clever bit: due to a coincidence of nature an energy level of Rb85 closely matches the 795nm level of Rb87, but not the 780nm. The upshot of this is that if we pass the Rb87 light through the Rb85 filter we remove (or scatter) some of the 795nm light whilst allowing all of the 780nm to pass through. Like the trap the genie set at the temple door. Now when that light enters the resonator cell there will be more energy to move an electron from level 1 to 3 than there is for 2 to 3. Eventually the ‘pool’ of electrons at 1 start to run out as they gather at 2. The cell now absorbs less light and that is detected by the photo-diode. We have effectively closed the hole, a little bit, in bucket B and created a population imbalance. Now we need to restore the balance and that’s where the magic switch comes in. To do this we make use of something called magnetic resonance. If you calculate the energy between levels 1 and 2 you can calculate the frequency (or speed) for our magic switch. And only that frequency will work. For rubidium that magic frequency is 6.8347GHz or six billion, eight hundred and thirty-four million and seven hundred thousand times every second. If you inject that electromagnetic signal into the resonator cell it frees the electrons trapped at level 2 and population balance is restored – like making the hole in bucket B bigger. Absorption starts to happen again and the light from the lamp gets scattered causing a slight (a fraction of a percent!) dip in the light that reaches the photo-diode. If the switch runs faster (or slower) than 6.8347GHz then absorption becomes less and more light reaches the photo-diode. The electronics compensates for this and maintains a lock on the level 1-2 atomic transition. We now have our magic switch and the genies are kept in the lamp! In part 4 we’ll look at how that (ridiculous) signal can be tamed to measure the rotation of the Earth – a time of day clock. ACT 5 SCENE 6 The Royal Palace at Purdonium. Music. Enter COURTIERS, dancing. Enter FELIX, TILDA, VULPECULA, JESSICA, ETTY, VISCUS and KEVIN.